At Melrose, we believe in eating your way to health, and that health can and should taste great. We all use oils every day in our kitchens, so why not choose really healthy ones? Melrose Healthy Kitchen Oils are a range of high-quality oils that we have carefully selected to each serve a specific purpose in your kitchen. 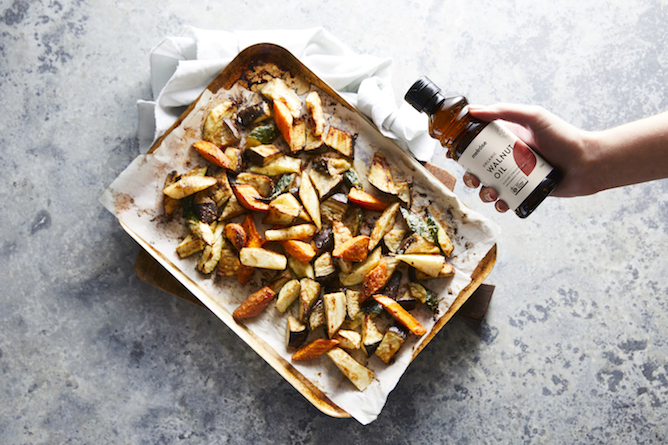 Our versatile range of oils each have a distinctive flavour profile and provide unique health benefits that can be put to use for all kinds of cooking, for the simplest to the most inventive cook. The best way to use the oil in the kitchen. To ensure each and every kitchen requirement is met and your cooking experience is heightened, we have considered the type of cooking each of our healthy kitchen oils is best suited- every cooking need from high and low temperature cooking, to making salad dressing is covered. The benefit it has on my health. Achieving health with food is one of our main goals, so we have selected only oils that are extracted in a way to retain all the valuable nutrients. Our healthy kitchen oils are packed with essential fatty acids, vitamins and minerals, offering wide range and targeted nutritional benefits. The flavour it brings to the food. 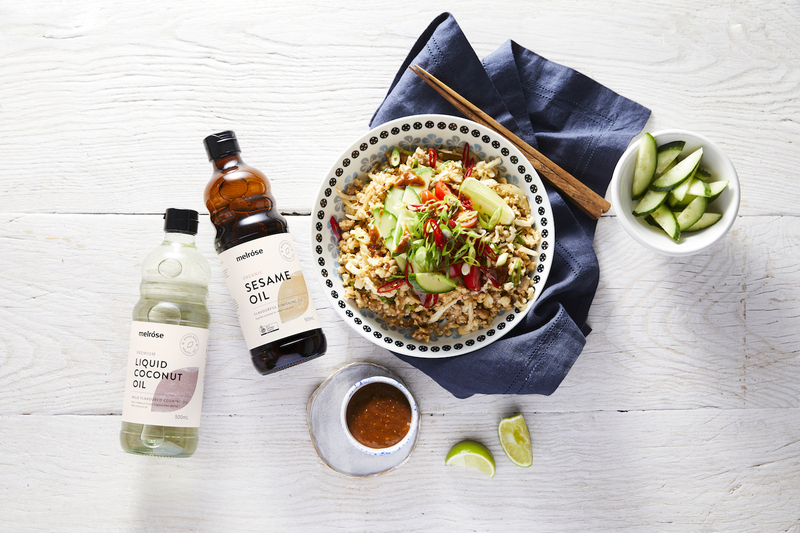 Selected by our experts, each healthy kitchen oil delivers a unique flavour profile to enhance your cooking, from delicate, subtle flavours through to the full and robust - we have you covered. Why Melrose Healthy Kitchen Oils? 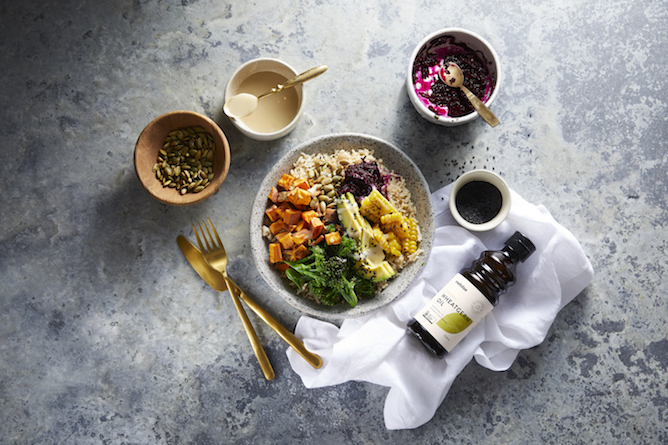 Mostly organic, our range of healthy kitchen oils are from the highest quality ingredient sources to ensure you can enjoy healthy and delicious oils to cook with. The Melrose Healthy Kitchen Oils range can be classified into three groups: Kitchen Essentials, Organic Kitchen Speciality, and Organic Kitchen Omegas. Melrose Kitchen Essentials are our foundation oils, commonly found in many kitchens and suitable for all types of cuisines and cooking. Each of these oils has a versatility to satisfy every cooking requirement from pan-frying to roasting and finishing warm and cold dishes. By alternating between these oils you can enhance your cooking with specific flavours and benefit your health with a variety of omegas to balance your intake of essential fatty acids. 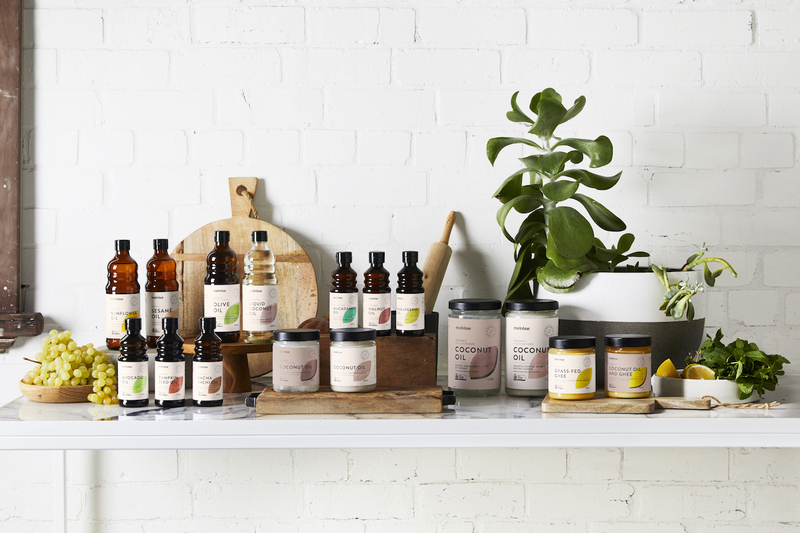 In our Kitchen Essentials range you will find Organic Extra Virgin Olive Oil, Organic Sunflower Oil, Organic Sesame Oil, Premium Liquid Coconut Oil, Organic Coconut Oil and Grass Fed Ghee. These gourmet speciality oils each offer distinctive nutritional features enabling you to support your health whilst enhancing the flavours in your cooking. High in essential nutrients, these oils provide a wealth of nutritional benefits such as optimising heart health, reducing inflammation, improving brain health and having incredible effects on skin conditions and healing. Their exceptional and distinctive flavour profiles allow you to optimise your health with delicious and unique dishes. 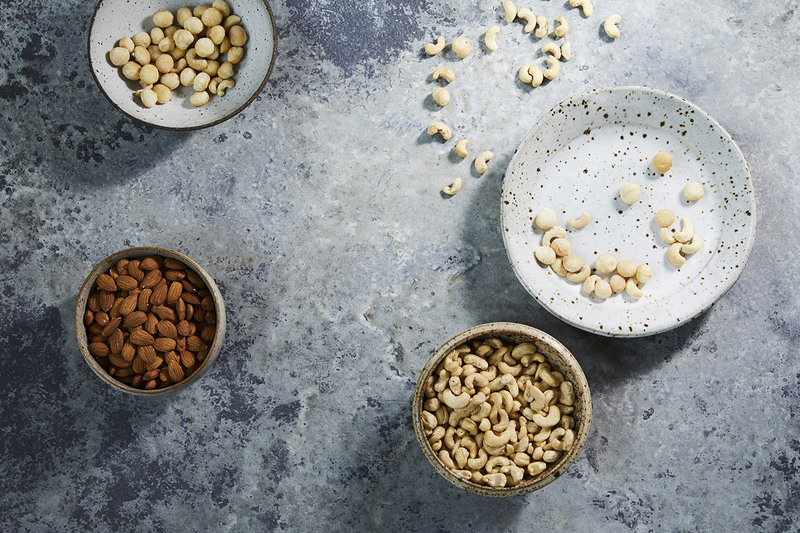 Our Organic Kitchen Speciality range boasts Organic Walnut Oil, Organic Pumpkin Seed Oil, Organic Wheatgerm Oil and our exciting new Organic Coconut and Ghee blend. Melrose Kitchen Omegas are both delicious and incredibly healthy! Amazing for salads and finishing off warm and cold dishes, each of these oils has a clean and distinctive flavour. These oils are rich in essential omega 3’s that are well known to benefit your overall wellbeing, support heart and brain health, reduce inflammation and pain, and to support joint and bone health. The human body is not able to generate omega 3 on its own, so using these oils is a great way to boost your intake of this important nutrient. 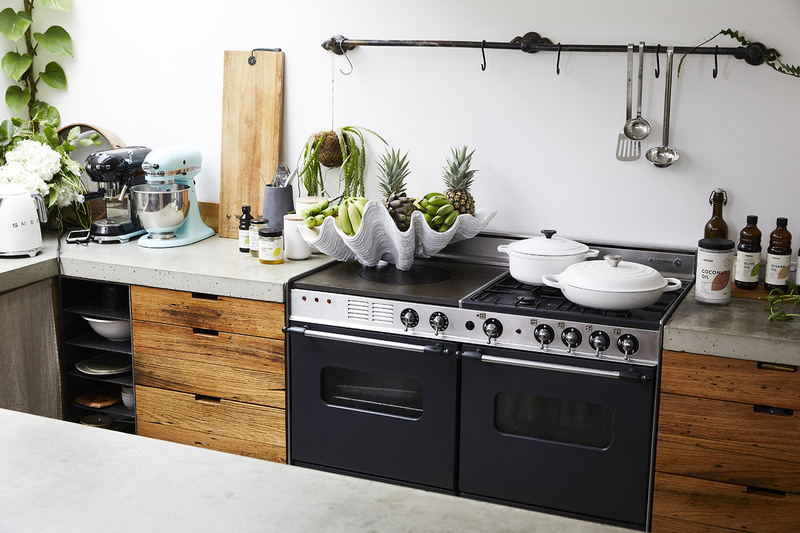 Our fabulous Organic Kitchen Omegas range includes Organic Avocado Oil, Organic Macadamia Oil and Organic Sacha Inchi Oil. There is no one oil that covers every cooking need in the kitchen. Our healthy kitchen oils range has been categorised by cooking method, flavour profile, smoke point along with the associated health benefits. Our aim is to remove the confusion about cooking oils and how to incorporate good fats into your diet in a balanced way. Our labelling provides helpful information on what you need to know about each oil, it's right there on the pack to help you make the best choice for your needs. It includes general information about the ingredient the oil is sourced from, nutritional benefits, tasting notes, smoke point and suggestions on how it's best used. The easy to refence usage icons illustrate how to use the oil including the temperature to cook with and the best cooking methods. Our healthy kitchen oils product comparison chart covers every oil in the range in one easy reference tool. At a glance you can decide which oil is best for your purpose as it outlines the distinctive characteristics of each of the oils. Why Are There So Many Oils? Our quality sourced cold and expeller pressed healthy kitchen oils provide a myriad of health benefits. Unfortunately, in many cases, the modern western diet tends us toward an imbalance in our essential fatty acid intake. Consuming a wide range of quality cold pressed oils will help to correct this with a balanced mixture of omegas 3, 6 and 9. By simply including a wider range of healthy oils in your diet you may experience health benefits such as reduced inflammation, improved heart health, improved brain health and an improvement to the texture and appearance of your skin and hair. Additionally, many of our oils offer essential nutrients and antioxidants required for optimal health, and easily supply additional nutrients to your diet. 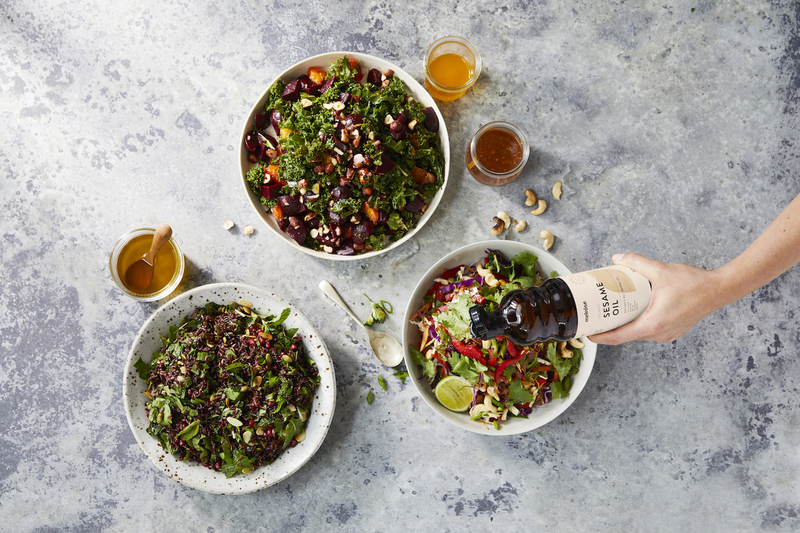 So, whether you have a specific condition or are simply looking to optimise your health with wholefoods we have the perfect healthy kitchen oil to meet your needs. Melrose Sweet Almond Oil is pressed from seeds of the almond tree - Prunus Amygdalus dulcis which are of the sweet variety, the very same as the ones you eat. Almonds are naturally rich in vitamin E a fat-soluble vitamin that acts as an antioxidant both within your body and on your skin. Melrose Sweet Almond Oil can also be used as a carrier oil and for massage. 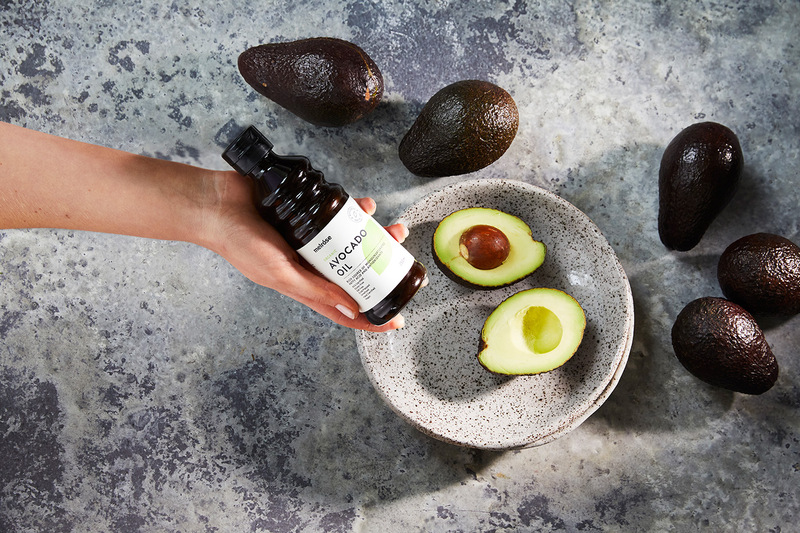 Melrose Organic Avocado Oil is cold-pressed from the flesh of the avocado fruit. Like olive oil, avocado oil has high levels of antioxidants and beneficial fats, making it a healthy all-round cooking oil. Melrose Organic Full Flavour Coconut Oil is a pure, virgin, coconut oil that is cold-pressed at the source from sustainable coconut plantations in the Philippines. Melrose Organic Flavour Free Coconut Oil is a pure, natural coconut oil with a neutral flavour that is expeller-pressed at the source from sustainable coconut plantations in the Philippines. Melrose Organic Coconut Oil and Ghee is a nourishing blend of two nutrient-dense high quality fats, organic coconut oil and grass-fed organic ghee. This blend is the perfect combination of health-boosting fats that are delicious to cook with and perfect for paleo and keto diets. Melrose Macadamia Oil is expeller-pressed to retain the nutritional benefits from the macadamia nut. Macadamias are native to Australia, originating in the rainforest areas of Northern NSW and Southern QLD. Melrose Organic Extra Virgin Olive Oil is made from Australian olives that are grown and harvested locally without the use of chemical or fertilisers. They are cold-pressed within hours of harvesting, retaining the natural antioxidants and nutrients. Melrose Organic Pumpkin Seed Oil is cold-pressed from the seeds of Styrian pumpkins, which are grown especially for their seeds. This is a unique, flavourful oil that is full of natural goodness for both inner and outer health. Melrose Organic Sacha Inchi Oil is one of the highest plant-based sources of omega-3 making it an excellent vegan alternative to fish oil. Sacha Inchi oil has been consumed in Peru as part of a traditional Inca diet for 3000 years and the plant is native to the rainforest of the Andean region of South America. Melrose Organic Sunflower Oil is expeller-pressed to retain valuable nutrients from organically grown sunflower seeds. Due to its naturally high smoke point it is an ideal oil for high heat cooking including frying. Melrose Organic Walnut Oil is obtained by cold-pressing organic walnut kernels retaining the nutrients and flavour of the walnut. This delicate oil is traditional in French cooking and is a beautiful finishing oil for all dishes including soups and salads. Melrose Liquid Original Coconut Oil is derived from sustainable coconut plantations in the Philippines and is made up of mostly medium chain triglycerides (MCTs). These fatty acids are easy to digest and provide a healthy source of energy. An ideal everyday healthy cooking oil alternative. Palm oil free. Available online or at selected Coles stores only. Be sure to be sure to check out the new look Melrose coconut oils here. 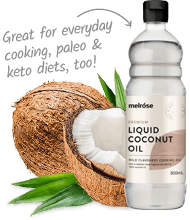 Melrose Liquid Flavour Free Coconut Oil is derived from sustainable coconut plantations in the Philippines and is made up of mostly medium chain triglycerides (MCTs). These fatty acids are easy to digest and provide a healthy source of energy. An ideal everyday healthy cooking oil alternative. Palm oil free. Available online or at selected Coles stores only. Be sure to check out the new look Melrose coconut oils here. Melrose Organic Unrefined Coconut Oil is a pure, virgin, coconut oil that is cold-pressed at the source from sustainable coconut plantations in the Philippines. This product is available online or at selected Chemist Warehouse stores only. Be sure to be sure to check out the new look Melrose coconut oils here. Melrose Organic Refined Coconut Oil is a pure, natural coconut oil with a neutral flavour that is cold-pressed at the source from sustainable coconut plantations in the Philippines. Omega 3, 6, & 9 - what are they?